Thomas Cook warned that hotel costs in Spain were eating into profits. The travel operator has been turning its focus away from the country even though it remains its most popular destination, with 1.3m customers travelling there in the six months to March 31. It has seen an 80 per cent boost in bookings for Turkey, however, with demand also strong for holidays in Greece and Egypt. The company said that its airlines were also doing well, helped by the demise of some rival carriers last year, and it is looking to boost growth with 15 new hotels next summer under the Cook’s Club banner, which will be a cheaper version of its upmarket Casa Cook business. 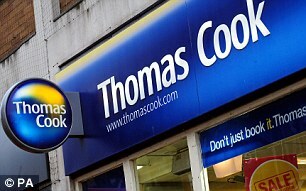 Thomas Cook’s revenues over the period rose 7.8 per cent to £3.2billion. Shares yesterday fell 4.8 per cent, or 7p, to 139.1p.